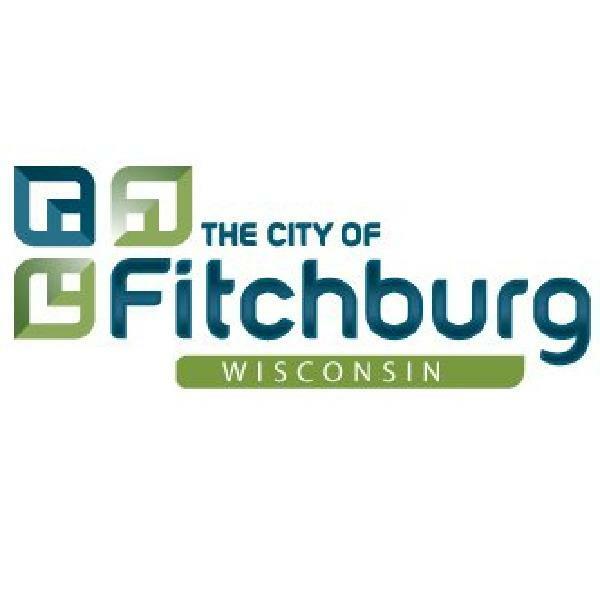 The City of Fitchburg adopted its Comprehensive Plan in 2009 to comply with Wisconsin’s “Smart Growth” law for land use planning and natural resource management and has been in compliance since. As recommended in the Fitchburg Comprehensive Plan and delegated by state law, the city of Fitchburg continues to enforce its Wetland Zoning ordinance. One of its purposes is to protect bird and other wildlife habitat by preserving wetlands. The ordinance allows for wildlife habitat improvement and the establishment of wildlife preserves. The city cannot rezone a wetland if it may result in significant adverse impact to wildlife habitat. As time and resources allow, the Fitchburg Parks, Recreation, and Forestry Department continues to prepare and implement management plans for its unique public natural areas and preform restoration activities such as prescribed prairie burns, invasive species removal and woodlot restoration. Each year a few select public prairies and grasslands undergo prescribed burning to increase plant diversity, control invading woody plants, release nutrients into the soil, improve space and light conditions for native plants and attract wildlife. In 2016 the City of Fitchburg completed a Forest Management Plan for the City’s largest park complex – McGaw Community Park and Seymour Johnson Neighborhood Park. The plan calls for restoration of oak savanna and prairie habitats which will result in more habitat for birds. E. Describe your community’s ordinance demonstrating that your community does not restrict natural/native landscaping that emphasizes native plants and non-turf lawns. The City’s Housing Code (Chapter 37) does not prohibit native landscaping or natural lawns. Any land owner may apply for approval of a land management plan for a native landscape or a natural lawn, one where the grasses exceed eight inches in height. The Fitchburg Park, Recreation and Forestry Department recently published a webpage to educate the community on invasive species. It includes information on control, prevention, identification and reporting. 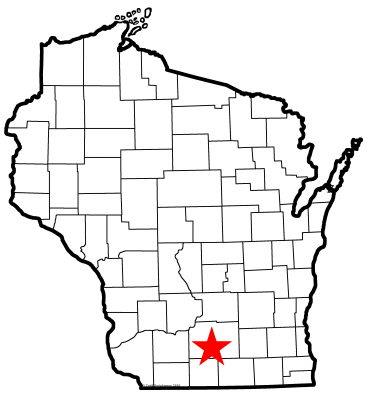 The City of Fitchburg contains two sites in the Southern Savanna Region of the Great Wisconsin Birding and Nature Trail. They are the Nine Spring E-Way and the University of Wisconsin Arboretum, both located in the northern part of Fitchburg. The Nine Springs E-Way includes Dunn’s Marsh. When time and resources allow, the City will burn prairie land to increase plant diversity, control invasive woody plants, release nutrients into the soil, improve space and light conditions for native plants, and attract wildlife. In 2017, the following areas were burned: Briarwood Park and Harlan Hills Prairie Park. Volunteers participated in collecting native seed at The Nature Conservancy managed prairie remnants. These seeds were used to over seed the prairie areas of McGaw Park, Harlan Hills Prairie, and Briairwood Prairie. Volunteers have also given their time to continue restoring City woodlots by removing invasive herbaceous and woody species from the understory and planting native trees and shrubs using tools and materials provided by the City. M. Demonstrate that your community offers a program for private property owners who are interested in dealing with invasive plants that have significant negative impacts on bird habitat. The City of Fitchburg works with lead volunteers to organize the removal of invasive shrubs, such as honeysuckle and buckthorn, from the understory of public woodlots (Figure 1). To facilitate invasive shrub removal, the City provides all tools and other materials necessary to make the events possible. In addition to working with lead volunteers on invasive shrub removal, the City also assists in the organization and facilitation of invasive herbaceous and weedy tree species removal by providing tools and other materials to volunteers. Much focus has been given to the removal of garlic mustard, burdock, Canada thistle, night shade, box elder, and black locust in City-owned woodlots. O. Document a program to support the establishment of natural lawns and native landscaping, possibly including public presentations of Audubon’s Plants for Birds Initiative (contact them for a presentation kit). The City’s website provides homeowners with information on the benefits of rain gardens and how to design and construct them on their own property. To encourage on-site stormwater management practices, the City offers stormwater utility credits for homeowners that implement rain gardens, pervious alternatives to pavement, rain barrels, and infiltration. As time and resources allow, the Fitchburg Parks, Recreation & Forestry Department aims to prepare and implement management plans for its unique public natural areas and perform restoration activities, such as prescribed prairie burns and invasive species removal. Every year a few select public prairies and grasslands undergo prescribed burning to increase plant diversity, control invading woody plants, release nutrients into the soil, improve space and light conditions for native plants and attract wildlife. Volunteer Jeremy Hecht has adopted Nobel Woods and has been doing restoration work over the years in an effort to restore the 4-acre oak-hickory forest in the Quarry Hill neighborhood. In 2016, he worked on the removal of black locust, Norway maple, box elder, buckthorn, honeysuckle, multiflora rose, Canada thistle, deadly nightshade, and burdock. Over the years Jeremy has been able to remove the majority of seed-producing plants of many of the aforementioned woody species, but continues to pull seedlings that emerge from the seedbank. In addition to controlling invasives, Jeremy also planted a dozen seedlings throughout the property which consisted of nine northern red oaks and three swamp white oaks. Jeremy observed the following birds in 2014: Red-tailed Hawk, Yellow-bellied Sapsucker, Blue Jay, Northern Flicker, Baltimore Oriole, Cedar Waxwing, Myrtle Warbler, Black-and-white Warbler, Tufted Titmouse, Downy Woodpecker, Hairy Woodpecker, Red-bellied Woodpecker, Chipping Sparrow, and Rose-breasted Grosbeak, and Warbling Vireo. Seminole Forest Neighborhood Association volunteers, led by Adam Tierney, have been working towards the restoration of a 6-acre woodlot which is part of Seminole Glen Park. Over the past could of years they have been removing invasive woody species, such as buckthorn and honeysuckle, which have taken over the understory preventing natural regeneration of the oak, hickory, and black cherry that dominate the overstory. They have made a huge impact on the landscape as shown in Figure 1. A group of volunteers from the Harlan Hills Neighborhood Association collected native seeds from another City-owned prairie and performed a dormant seeding at Harlan Hills Prairie (Figure 2) under the consultation of Steve Banovetz from Field and Stream Restorations. Volunteers from the Briarwood Neighborhood Association worked with Adaptive Restoration to perform a dormant seeding at Briarwood Park. Fitchburg continues to be recognized as a Tree City USA by the Arbor Day Foundation following its initial award in1997 and has received 11 Growth Awards. C. Document an ongoing community program to incorporate a significant number of native trees, native shrubs, native herbaceous plants, and/or cultivars of native species in public or large-scale private landscaping. In general, the majority of street and park trees planted annually are hardwood trees of native varieties and cultivars. There have also been some specific projects, such as the spading of six medium-sized hardwood trees (dbh from 9 - 12 inches) from the Verona Road construction project. Rather than removing these trees, they were spaded and planted in a nearby parks to replace trees lost to emerald ash borer or other construction projects. In addition to removing invasives from woodlots, volunteers have been filling in the understory with native trees and shrubs. This year, a dozen oak seedlings were planted at Nobel Woods. At both Seminole Glen Park and the Quarry Hill Fenceline, the following trees and shrubs were planted: Musclewood (x8), Serviceberry (x4), Common Witchhazel (x4), Nannyberry (x4). Although actual planting will begin in 2015, the City has been working with the public to develop a restoration plan for the Tower Hill Greenway. Current plans include continued invasive understory management and the planting of native conifers and shrubs. The Fitchburg Parks & Forestry Department provides information for property owners on ways to improve backyard bird habitat, including keeping cats indoors, via its Backyard Habitat for Birds webpage. The site now also includes links to the American Bird Conservancy’s “Cats Indoors” program. The Fitchburg Parks & Forestry Department provides information for property owners on ways to improve backyard bird habitat, including information from the Humane Society on how to protect birds from window strikes, via its Backyard Habitat for Birds webpage. Audubon at Home (National Audubon Society) – Information on healthy yards, helping birds, neighborhood conservation, and ways to make a difference for migrating birds. Bird-related Publications (Wisconsin Bird Conservation Initiative) – Information on bird feeders, bird houses, landscaping, and cat predation. The City of Fitchburg underwent and energy audit in 2012 and since that time has installed over 1,500 solar panels (see below). The City of Fitchburg has been a Green Tier Legacy Community since 2015. Fitchburg installed 362 kW of solar photovoltaic (electric or PV) panels on the roofs of the Library, City Hall, Public Works Maintenance Facility and the West Fire Station late in 2017. An additional 12.3 kW of panels were installed on City Hall's roof in September 2009, and 9.9 kW of ground-mounted solar PV panels were installed at the Public Works Maintenance Facility in 2011. Visit their website for additional information. The City of Fitchburg celebrated Arbor Day and International Migratory Bird Day at McGaw Park on April 22, 2017. The event included the planting of two burr oak trees, bird and tree city recognition, and a live raptor program.